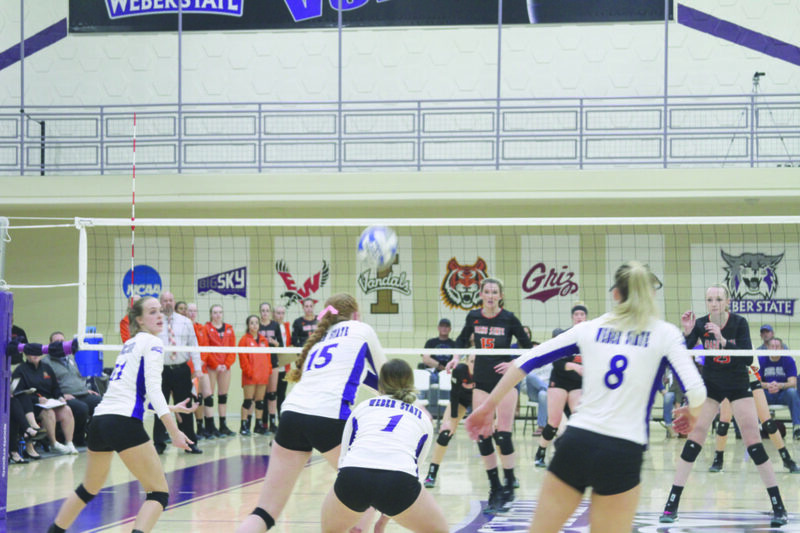 That was a lesson the Weber State University women’s volleyball team learned in their match against Idaho State. The Bengals won the match in the fifth set in the Oct. 28 face-off. The Wildcats appeared poised to take down the Bengals at the Swenson Gym for the team’s Alumni Night. Weber State went into the match looking to break a losing streak against the Bengals that stretches back six years. The ’Cats were cruising to victory, as they held a 2–0 lead in the match, before the Bengals roared back to tie the game at two wins apiece. Idaho State finished the final set with consecutive kills to win 17–15, completing the comeback and stunning the home crowd. Junior outside hitter Andrea Hale set a new career high in kills, picking up 25 on the evening. Weber State held the momentum throughout the entire first set, winning 25–18. The second set was more of the same, with the ’Cats emerging with a 25–19 victory. 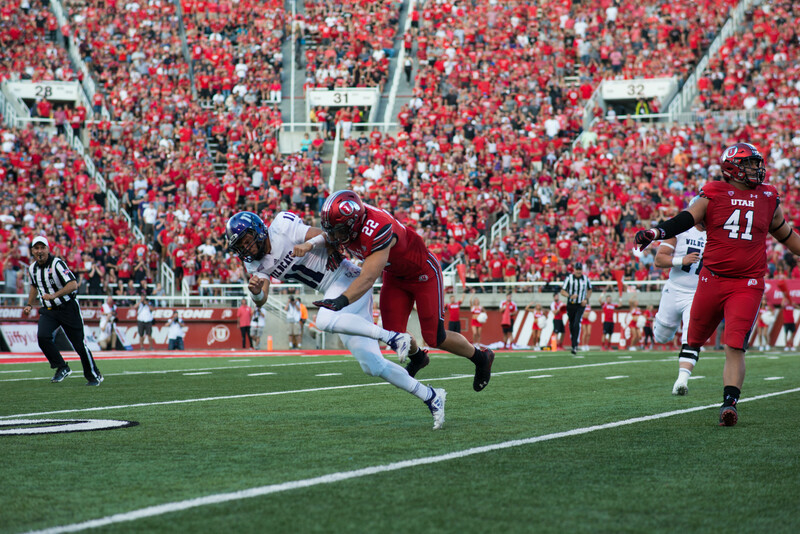 Wildcat junior Gracey Tuifua, who finished with nine kills, mentioned the team focused before the game on the fact that they haven’t topped the Bengals in the last six years. WSU stormed out to an early lead in the third set, but was undone by a late Bengals rally. Idaho State finished the set on a 13–6 run to win 26–24 and stay alive in the match. Weber State held the lead on several occasions in the fourth set, only to see the Bengals come back to tie the score each time. 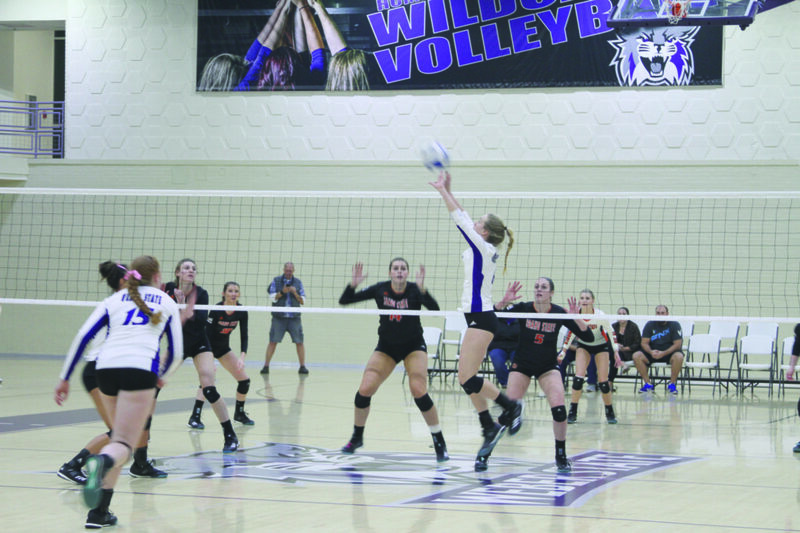 The set was deadlocked at 24 apiece when sophomore Megan Gneiting put the Wildcats in front with a kill. 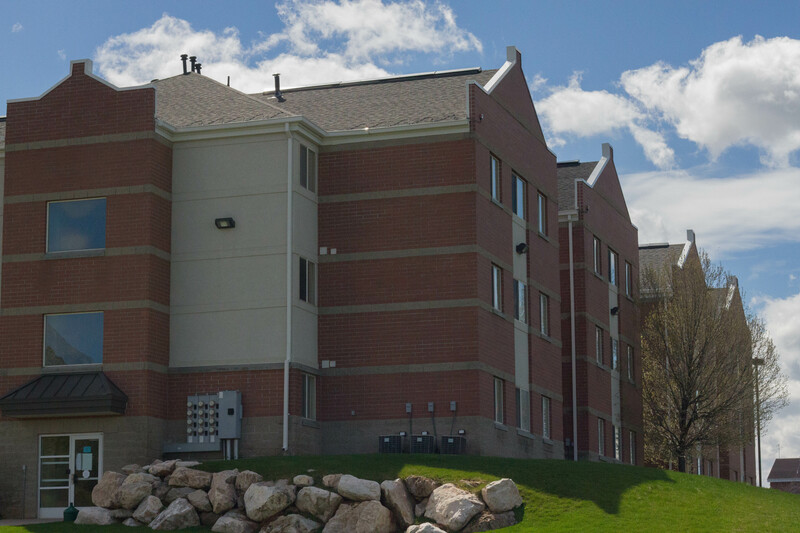 However, Idaho State stormed back and won 28–26 after a trio of kills. During the break between sets, Larsen tried to keep his squad focused. 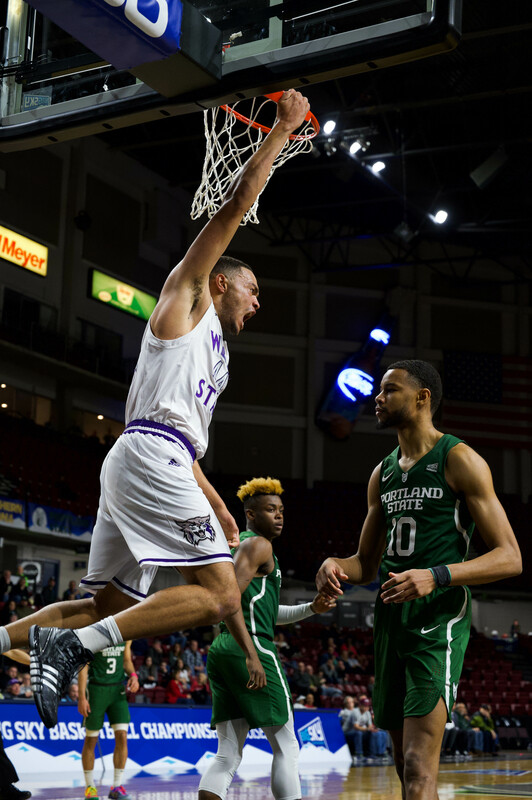 Weber State fell to 4–8 in the Big Sky and 6–18 overall. 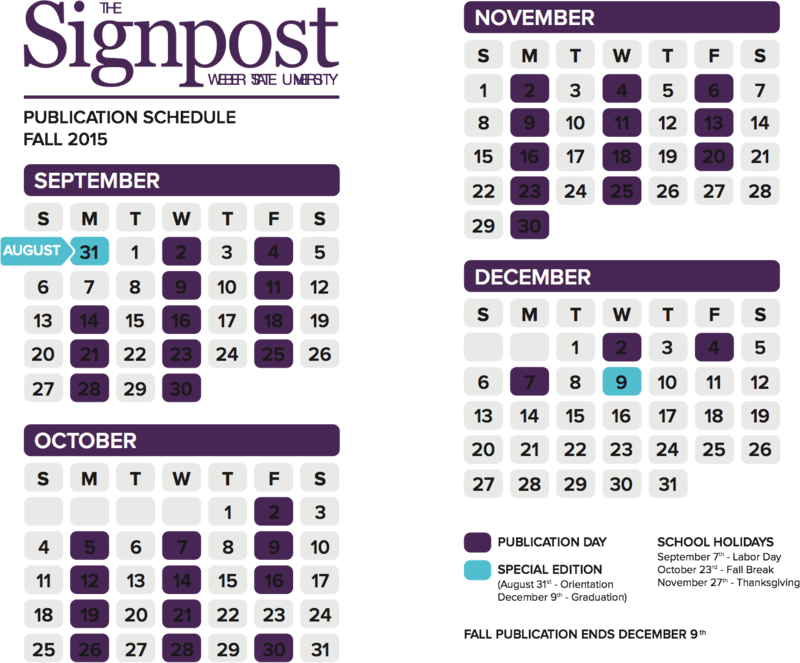 The ’Cats next home game will be on Nov. 9 against Portland State University. “There are a lot of positives from tonight. Sometimes you’re going to play really well and lose. That’s the way it works,” Larsen said.